Flat-rate cash-back rewards credit cards offer you a ton of convenience and simplicity, but not always the best possible cash-back rate. The PenFed Power Cash Rewards Visa Signature® Card, however, takes a step in the right direction by upping the amount you can earn over that offered by several existing heavy hitters in the flat-rate rewards field. PenFed Power Cash Rewards Visa Signature® Card cardholders earn 1.5 percent cash back on all their purchases – a pretty standard rate across the flat-rate cash-back rewards board. But you can earn up to 2 percent cash back on all your purchases if you qualify for the Penfed Honors Advantage Program – and it's fairly easy to do so. You qualify by either having a PenFed Access America Checking Account (yes, you can open a new account in order to qualify for the program) or if the primary or joint applicant is in active military service, the National Guard, the Reserves, has been honorably discharged or is a veteran. Suddenly, the PenFed Power Cash Rewards Visa Signature® Card stacks up nicely against some of the more well-established flat-rate cards like Chase Freedom Unlimited®. Earn an unlimited 1.5 percent cash back on all your purchases; up the earn rate to 2 percent on all purchases as a member of the Penfed Honors Advantage Program. Earn a $100 bonus statement credit after spending $1,500 within the first 90 days. 0 percent APR on balance transfers for the first 12 months (3 percent fee applies to each transfer). No annual fee or foreign transaction fees. The Pentagon Federal Credit Union is, as the name suggests, a credit union so you need to be a member to take advantage of the products and services (including the PenFed Power Cash Rewards Visa Signature® Card). It's fairly simply to qualify, however. Current or former members of the military, U.S. government employees, employees of certain organizations, membership in particular organizations or associations and more categories are eligible. In fact, anyone can join simply by becoming a dues paying member of Voices for America's Troops or the National Military Family Association, both of which currently require modest one-time, non-refundable dues. Pay your dues and you're eligible for Penfed membership. You can earn up to 2 percent cash back on every purchase if you are a member of the Penfed Honors Advantage Program. If you aren't, you'll still earn a nice 1.5 percent back. With no annual fee and no foreign transaction fees to offset, all your rewards can go directly back to your pocket. Take advantage of 12 months no interest on balance transfers to snag some extra time to pay off a balance you've accumulated on another card. If you tend to spend disproportionately in particular categories such as groceries or gas, you could likely stand to earn more cash back with a card that features tiered or rotating rewards for those categories. In a word, it's the simplicity that attracts us to flat-rate cash back cards. Sure, there are ways to earn greater amounts of cash back, but you have to be willing to keep up with rotating or at least tiered reward structures. If you just want to use your card and know you're earning solid cash back whether you're at the gas station or buying tickets to a summer concert, than a flat-rate card like the PenFed Power Cash Rewards Visa Signature® Card is right for you. In the case of the PenFed Power Cash Rewards Visa Signature® Card, the possible earn rate is greater than with some other flat-rate cards. Two percent is a not-too-shabby amount of cash back to rake in every time you use your card. While the 1.5 percent basic rate is fine, there's really no reason not to do what it takes to qualify for the Penfed Honors Advantage Program since you can do so with only a checking account. "PenFed has certainly raised the bar with their new cash-back card," said Curtis Arnold, founder of CardRatings and a consumer credit card educator and advocate. "They have leaped overnight from a good cash back card to a best-of-breed category, particularly for members of the military and PenFed banking customers. The 2 percent earn rate, coupled with the reputation of PenFed, makes their new card a very compelling offer." 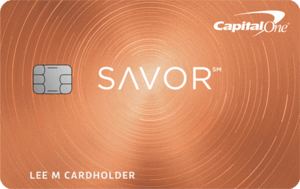 In addition to its solid cash-back opportunities, this could be a good card for you if you already have some credit card debt you're looking to spend a few extra months paying off interest free. New cardholders have 12 months of no APR on balance transfers, so be sure to take advantage of that money-saving option if you need it. Lastly, there's no annual fee or foreign transaction fees to contend with, so you can carry this card in your wallet for a rainy day or for that trip overseas. Even if you're earning the 2 percent back on all your purchases, you could be missing out on even higher rewards if you are the kind of person who can keep up with rotating categories or tiered rewards. In particular, if you know you spend disproportionately on, say, groceries, there are cards out there that will reward you handsomely for that spending (to the tune of 5 or 6 percent cash back, actually). One other consideration is that you will pay a 3 percent fee for each balance transfer, even during that introductory 0 percent period. Sure, you could still stand to save money in the long haul since you won't be paying interest during the intro period, but there are cards available that offer 0 percent intro periods without a balance transfer fee. 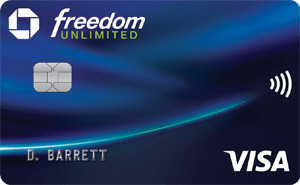 We've mentioned Chase Freedom Unlimited® already, but let's really dig into how these cards compare. First of all, new Chase Freedom Unlimited® cardholders earn 3% cash back on all purchases up to $20,000 spent in the first year and then an ongoing and unlimited 1.5 percent cash back going forward. That means that after that first $20,000 spent in the first year, Chase Freedom Unlimited® cardholders will earn the same base percentage as PenFed Power Cash Rewards Visa Signature® Card members but without any option to up that earn rate to 2 percent like you can with the Penfed card. Chase Freedom Unlimited® cardholders can take advantage of 0 percent intro APR on balance transfers AND purchases for 15 months (17.24% - 25.99% Variable), so longer than with the Penfed card and for both balance transfers and purchases. Lastly, if you plan to travel abroad with your card, you'll want to go with the PenFed Power Cash Rewards Visa Signature® Card as Chase Freedom Unlimited® charges a 3 percent foreign transaction fee on all overseas purchases. The Bank of America® Cash Rewards credit card is a no-annual-fee, tiered-rewards, cash-back card. That means that you stand to earn more cash back if you spend within the higher tier categories. Bank of America® Cash Rewards credit card members can take advantage of a new offer to maximize cash back in the category of your choice: gas, online shopping, dining, travel, drug stores, or home improvement/furnishings. Now earn 3% cash back in your choice category and 2% at grocery stores and wholesale clubs (up to $2,500 in combined choice category/grocery store/wholesale club quarterly purchases), and unlimited 1% on all other purchases. You can update your choice category for future purchases once each calendar month using the mobile banking app or online banking, or do nothing and it stays the same. With that in mind, PenFed Power Cash Rewards Visa Signature® Card members who take advantage of the Penfed Honors Advantage Program might be able to earn more cash back in the long run since they earn an unlimited 2 percent back on all their purchases. That said, Bank of America® Cash Rewards credit card offers a $200 online cash-back bonus after you spend $1,000 in the first 90 days of account opening (a lower threshold for the bonus than with the Penfed card) and features an introductory 12 billing cycles of 0 percent APR on purchases and balance transfers made within the first 60 days of account-opening (then, 16.24% - 26.24% Variable APR on purchases and 16.24% - 26.24% Variable APR on balance transfers). If you are looking to make a large purchase in the near future and take some time paying it off, you could save yourself interest and a balance transfer fee by purchasing directly on the Bank of America® Cash Rewards credit card. If you're not a member of the Penfed Honors Advantage Program, at first glance, not much seems different between the PenFed Power Cash Rewards Visa Signature® Card and the Wells Fargo Cash Wise Visa® Card. Neither has an annual fee, both earn unlimited 1.5 percent on all purchases (or 1.8 percent with Wells Fargo for the first year when making purchases with a qualified mobile wallet), both have a new member sign up bonus (though the Wells Fargo Cash Wise Visa® Card's is double at $200), and lastly, both offer 12 months of 0 percent APR. Perhaps the most notable differences between the two cards are 1) the PenFed Power Cash Rewards Visa Signature® Card does not have foreign transaction fees, whereas the Wells Fargo Cash Wise Visa® Card does; and 2) the Wells Fargo Cash Wise Visa® Card includes up to $1,000 annually in cell phone protection, a nice perk for anyone worried about something happening to their phone. The PenFed Power Cash Rewards Visa Signature® Card is an excellent option for the person wanting to earn cash back, but who doesn't have a particular interest in keeping up with rotating categories or caps on the earning. If you decide this is the card for you and you aren't military, seriously consider opening a Penfed checking account in order to take advantage of the bonus cash-back earning rate.